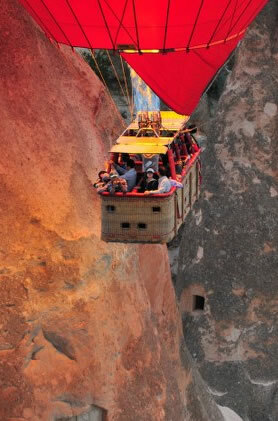 It is on the Nevsehir-Goreme roadway. There is not known the period of the commencement of the oldest settlement at Uchisar which is situated in the highest point of the region. The hill of the castle of Uchisar is the panoramic watching point. The many rooms, steps, tunnel and galleries inside the castle are connected to each other. At the entrance of the rooms there are sliding stones used to control the accesses and exits. 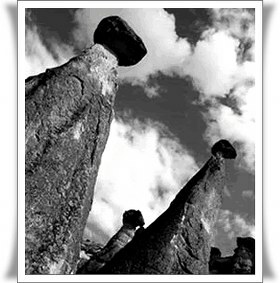 On the chimney rock and outskirts of the castle and around there has been constructed many dovecotes. The doves were used in communication with the other settlement regions. Says as legend dwarf had been lived at the Uchisar because of the very narrow passages in the castle. There are three tombs top of the castle.